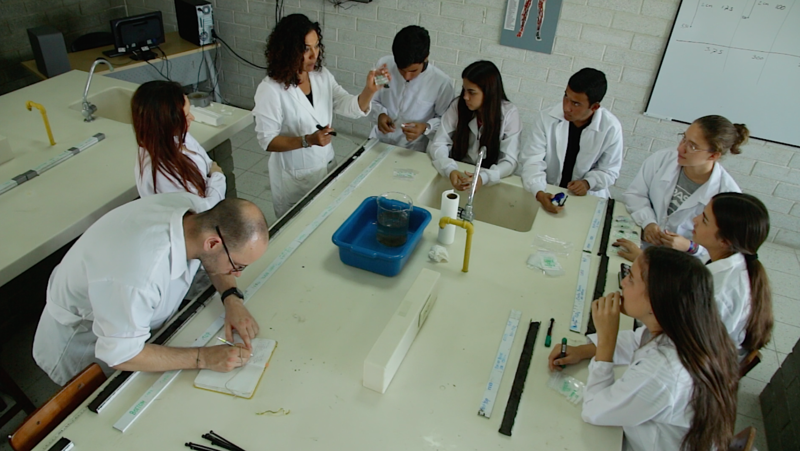 Bright and early again, we arrived at Colegio San Jose to do lab work. Our committed partners in crime were already there waiting for the fun to start. With their help we transported the cores safely from Juma’s office to the lab. We had one ambitious aim: to take a sample every 1 cm of the most relevant cores to take them to Europe. 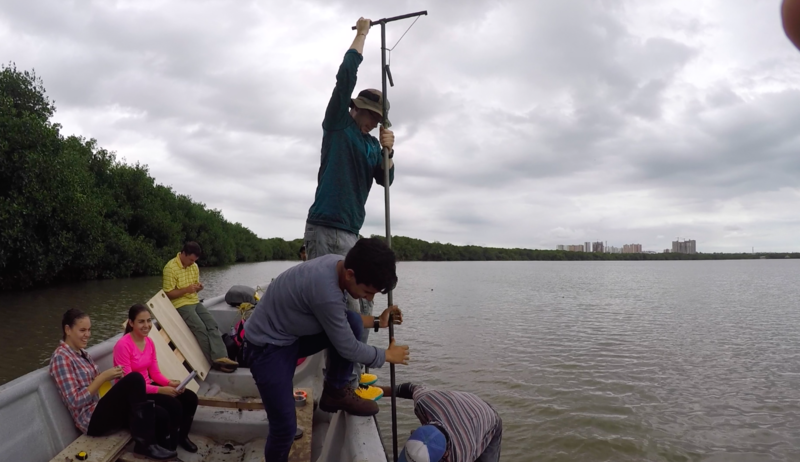 The most relevant cores were in total 13.18 meters of sediment, which meant we had 1318 small plastic bags to label and fill with pieces of mud. We only had Friday to do this, so pressure was on! 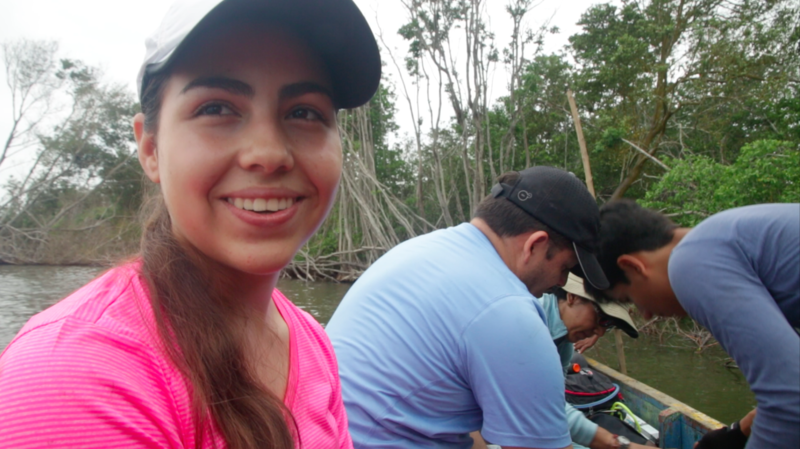 Luckily we had an army of keen San Jose students: including Andrea, Camila, Javier, Leo and Camilo, who had joined during the fieldwork and were already hooked with the mangrove research. 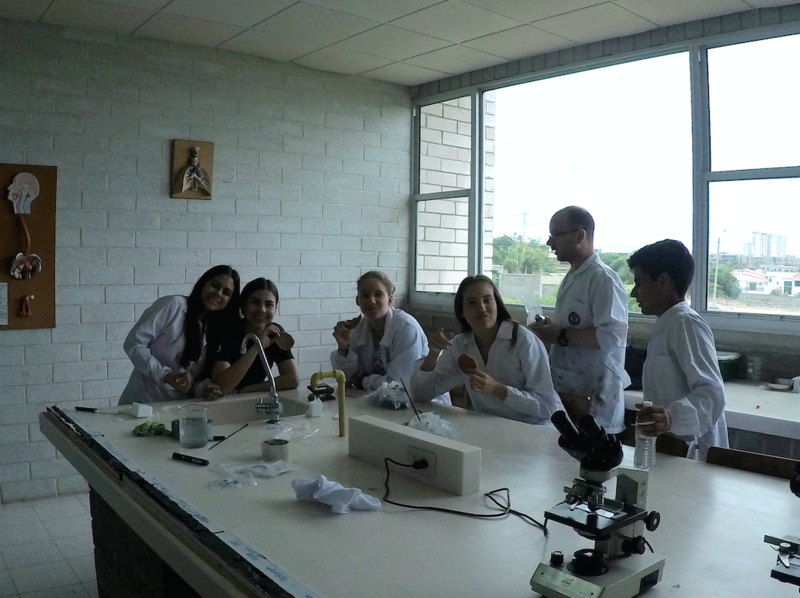 Leidy and Majo, two other 10-grade students, and Oriana, their Biology teacher, also came to help out. Stroopwafels entered the lab scene to spice up a long day of work. 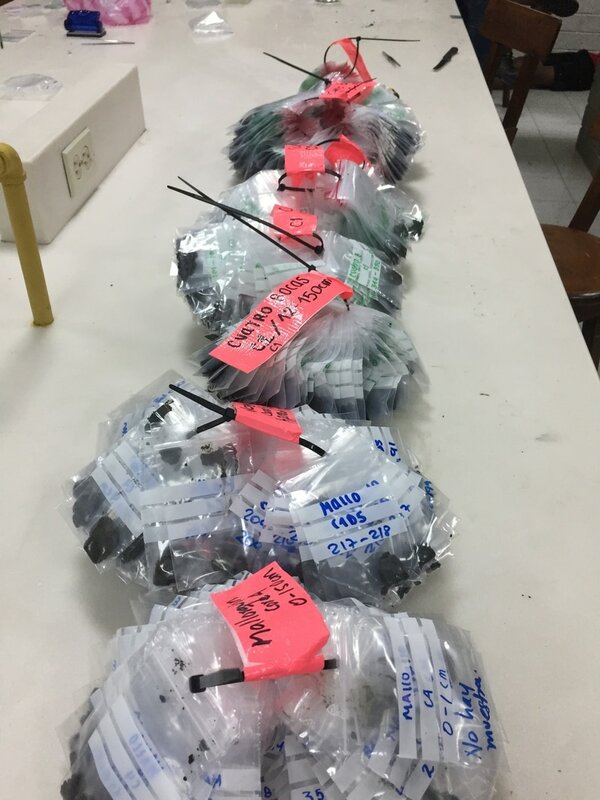 They provided the energy needed to keep labelling bags, opening them, scooping up a piece of mud, closing bags, piercing them, and organising the bags onto a zip-tight bundle… again, again, and again… a total of 1318 times! 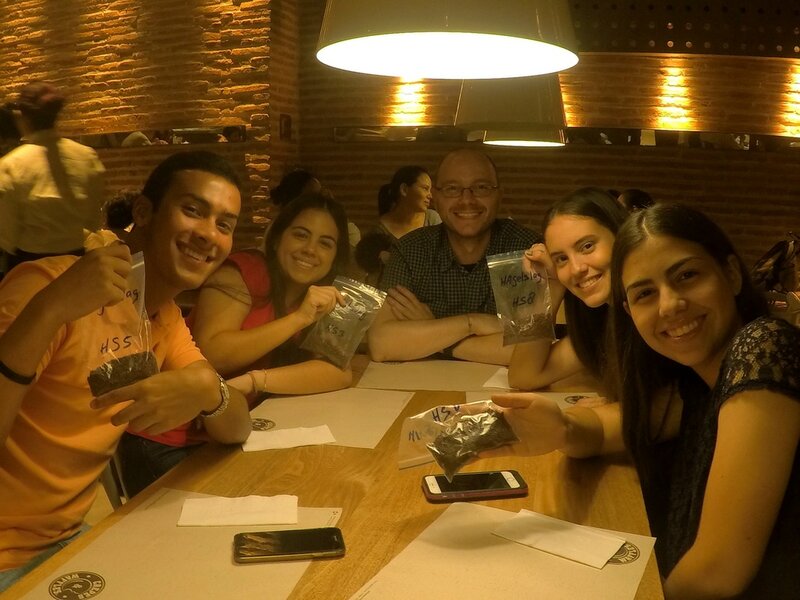 After cleaning the lab benches we headed to a local restaurant to celebrate a successful and rewarding week. 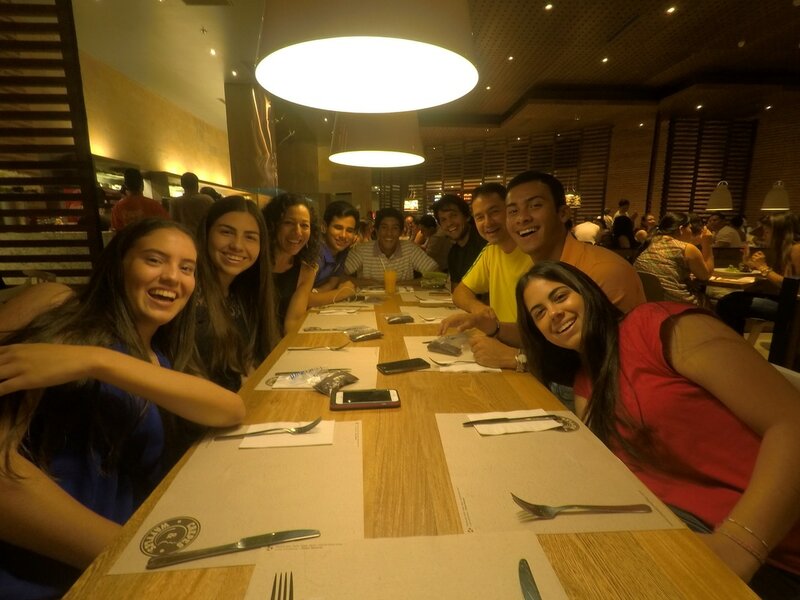 We also wanted a moment to say good-bye to the amazing people we met during our week in Barranquilla. Work left aside, we felt like we were saying good-bye to a group of good friends. These last few days we shared some beautiful moments and this whole experience really brought us together as a group. A big THANK YOU to all who worked with us was in order. Thanks to Andrea, Camila, Javier, Leo, Camilo, Leidy, Majo, Alex, Gabo, Mauricio, Oriana, Yolys, Jose, Chino and Juma for all your help in the field and lab. It has been such a pleasure to work together and to get to know you! Your hard work, determination and eagerness to learn have really amazed us. But above all, it has been great to get to know such warm, kind and caring people! And then a great week really came to an end. 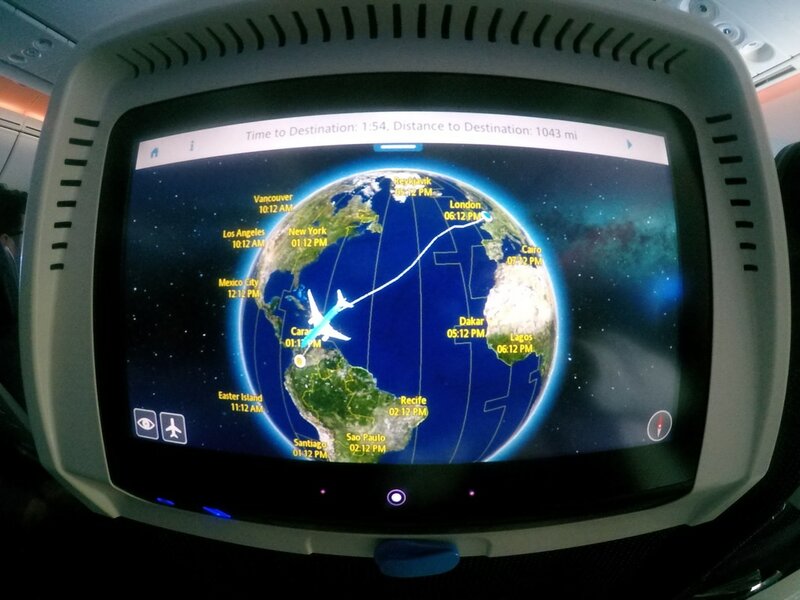 We will be returning to Europe with all our equipment, 1318 bags of samples, still a bit of mud behind ears, but above all, with great memories and new friendships. Thank you all and we hope to see you again very soon!! 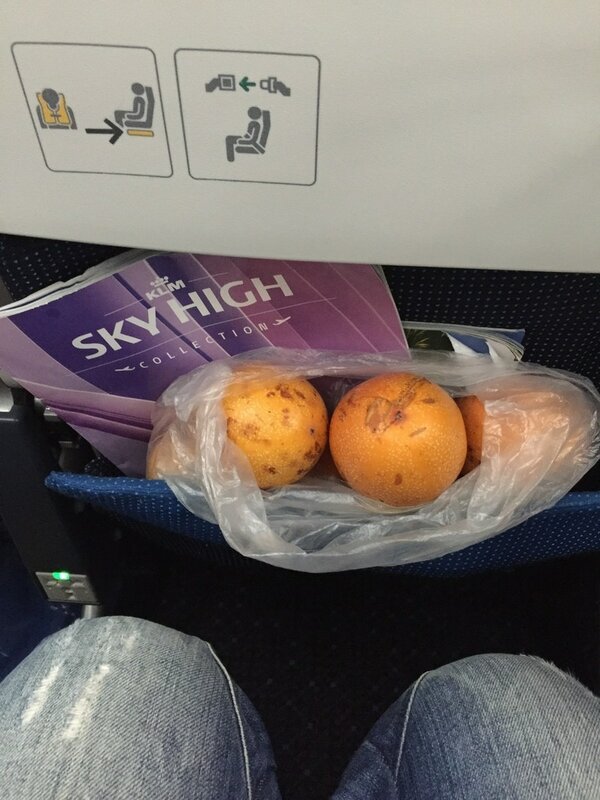 We couldn’t say goodbye to the Colombian fruits quite yet, so we decided to bring some onto the plane... 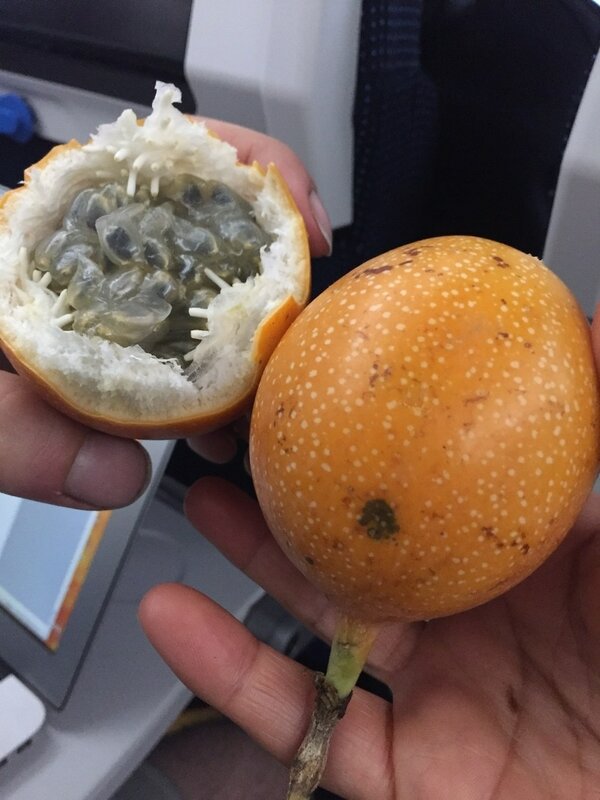 This one is from the passion fruit family. Not really used for juices, but just eaten out of its hard shell and enjoyed! 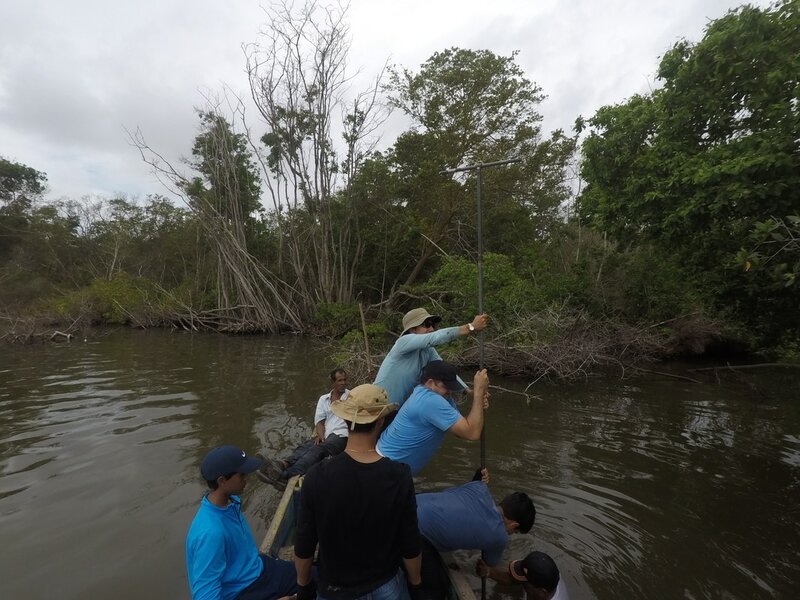 Back to Cuatro Bocas on the eastern side of the Magdalena River delta, our aim was to get a long core from the mangrove forest. 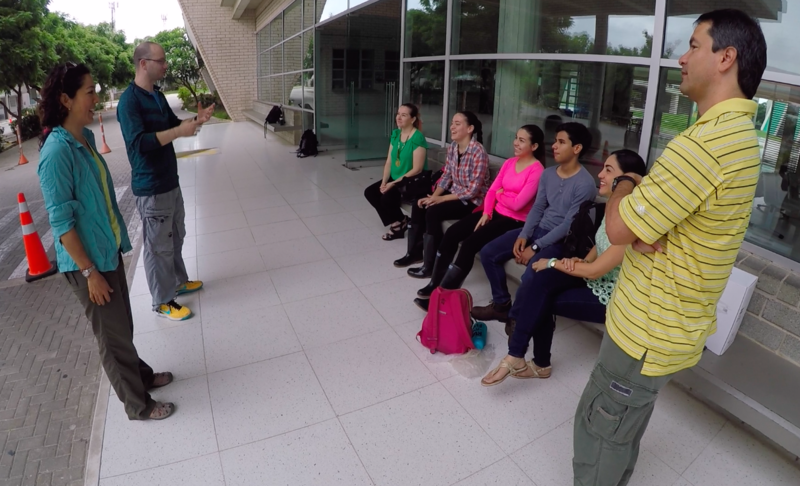 Yolys Ayo, the physics teacher from Colegio San Jose, joined us. 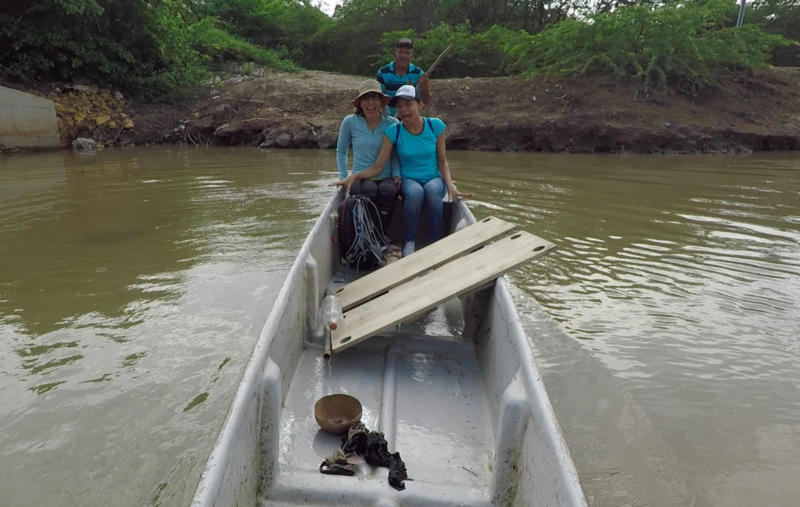 She was very keen on getting her immaculate white sneakers muddy, but not so keen on the narrow and wobbly boat. 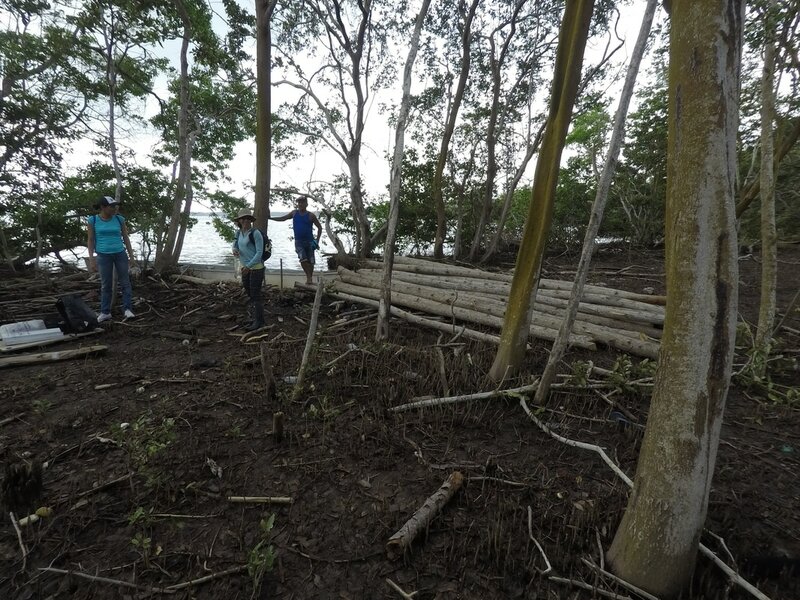 Chino brought us to the mangrove forest close to the coring spot from Day 2. Here getting off the boat and on land was much easier. The forest had been struck with lightning and was being logged, so it was much more open. Chino explained how the mangrove forest can catch on fire during thunderstorms. 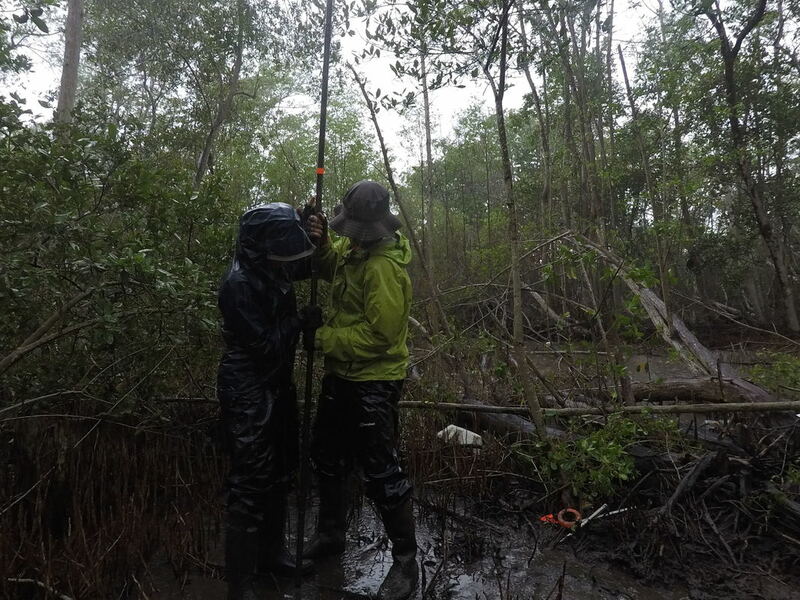 Coring went well, we recovered other 4 meters of mud with peat layers. The day started out sunny but quickly turned into a… thunderstorm! Luckily we had no fires and were able to finish before the 4-meter metal rods acted as a connection to earth. 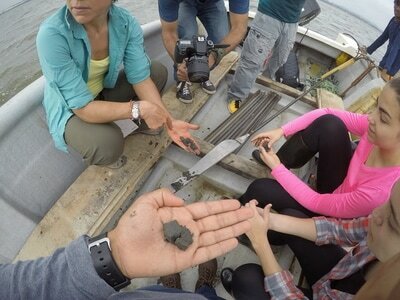 Then we got the cores safely onto to the boat and left the site. Tomorrow we will be posting on our lab work and sampling marathon. The idea is to get small pieces of all cores into small plastic bags to take them back to Europe. 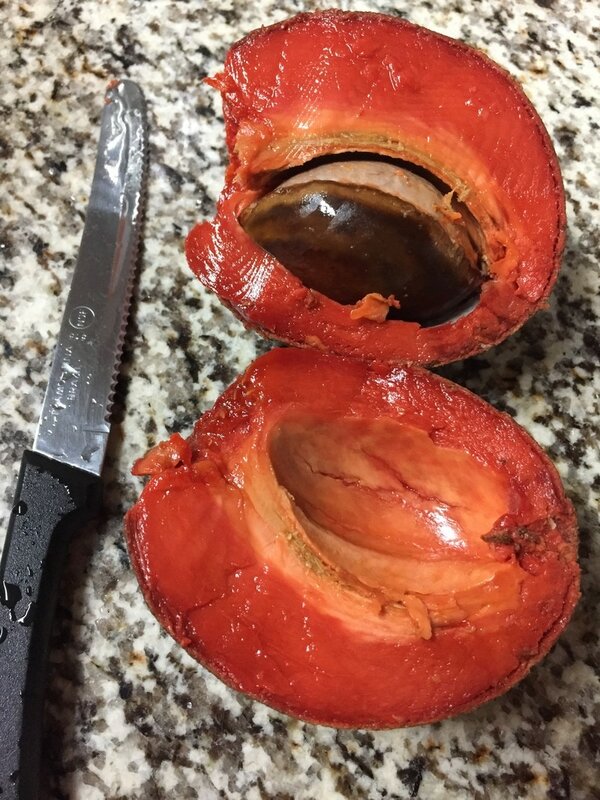 This is one of our favourite fruits in Colombia. 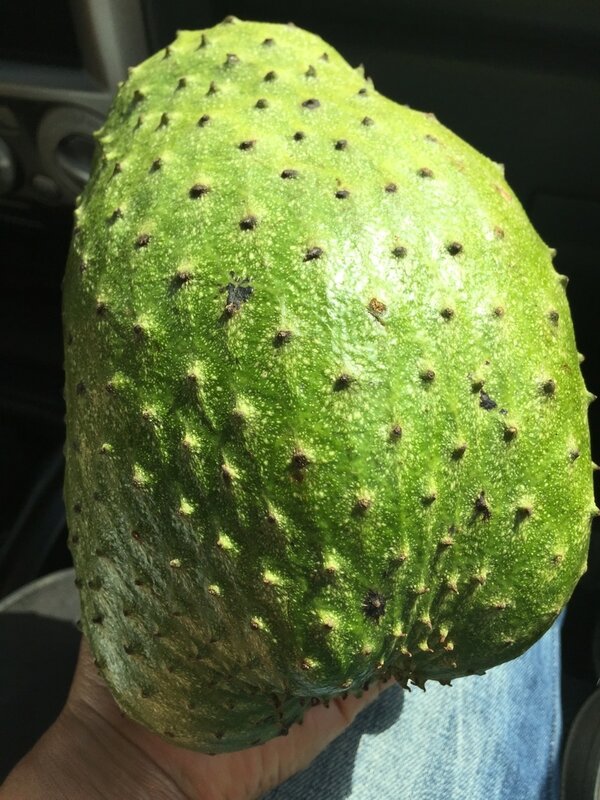 The inside is a white nicely-scented pulp with black seeds. It can be eaten like that, but it is mostly used to make nice fruit juices with milk. A real winner!! 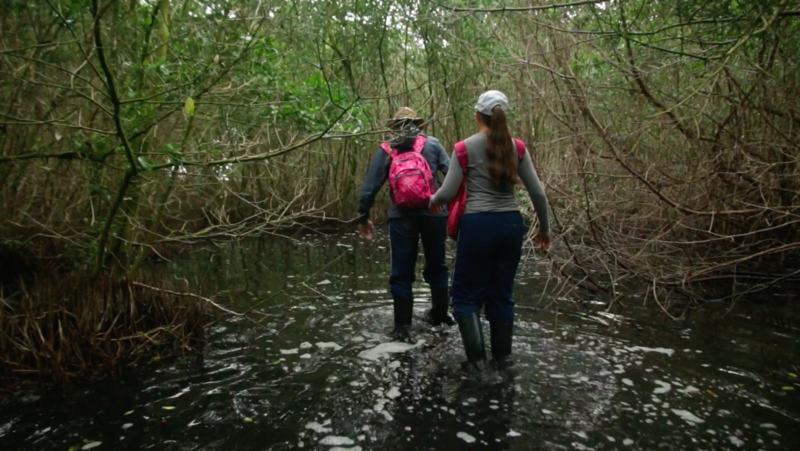 Getting into the Mangrove forest at Cienaga Mallorquin was easier than we thought. We only had to hang from the trees and push our flexibility to the max as we made our way to somewhat dry land. Luckily Jose had brought his machete to clear the path out. 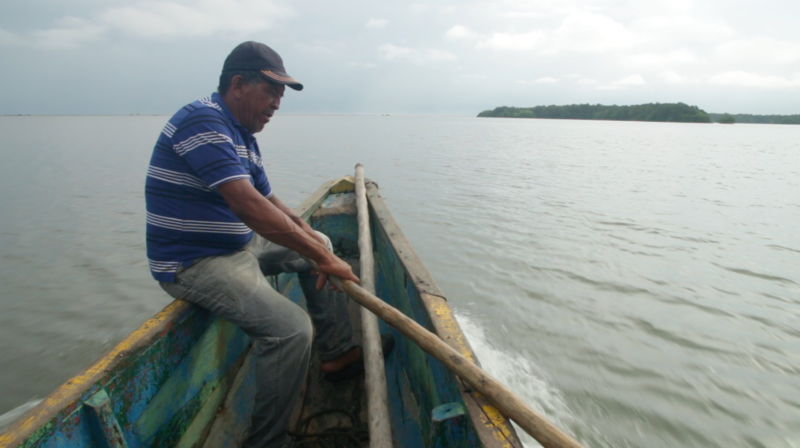 He was our local boatman, fisherman, or actually do-it-all man! 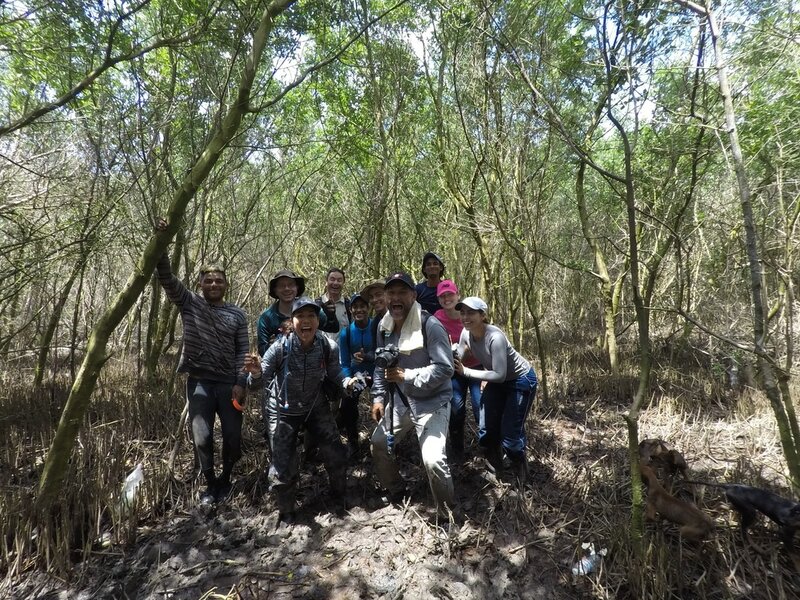 This time we cored from inside the mangrove forest. It was a real team effort that required attention to detail and pure muscle power. We raised two cores of 1.5 meters and set up the tea bag experiment. 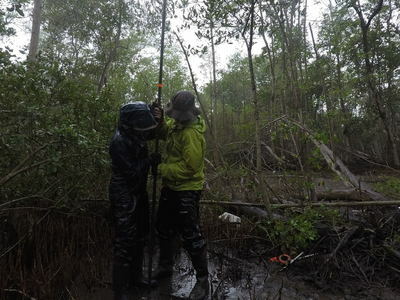 This will allow us to get information about how fast the leaves, twigs and roots decompose inside the mangrove forests. 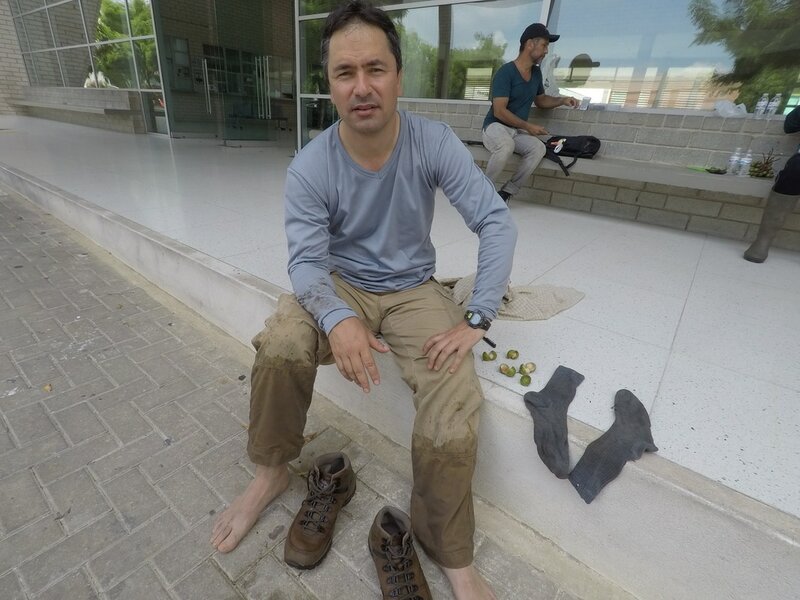 Juma, the director of Colegio San Jose, has already volunteered to go back in 3 months to pick the tea bags up again. Temperatures and humidity kept on going up. So we decided to go to the beach on the other side of the lagoon to get a cold drink. In the spirit of sharing, we had brought chocolade hagelslag (chocolate chips) so everyone could taste this Dutch delicatessen. 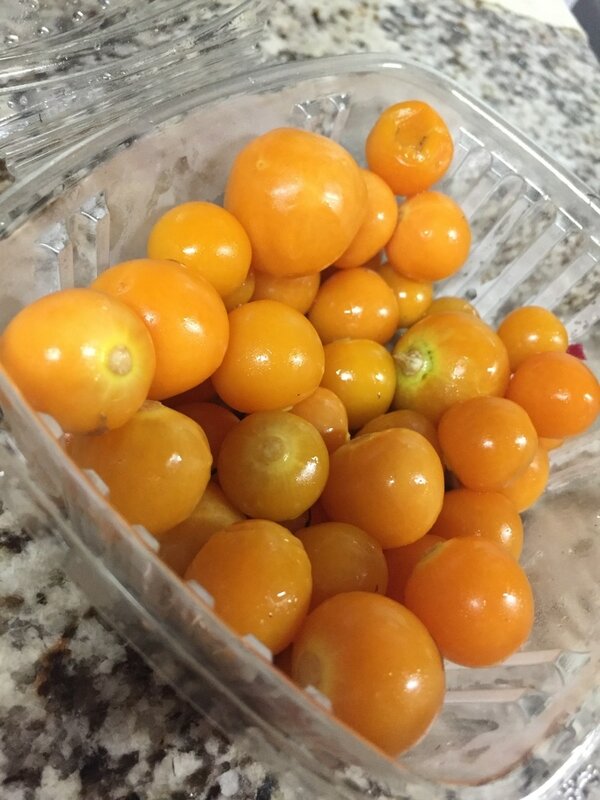 This small but tasty fruit can sometimes be found in European supermarkets. However, €2 get you only a few. For the same amount of money one can get a tastier and larger bunch here in Colombia. In Cuatro Bocas we got on the motorboat from Chino, one of the local fishermen. 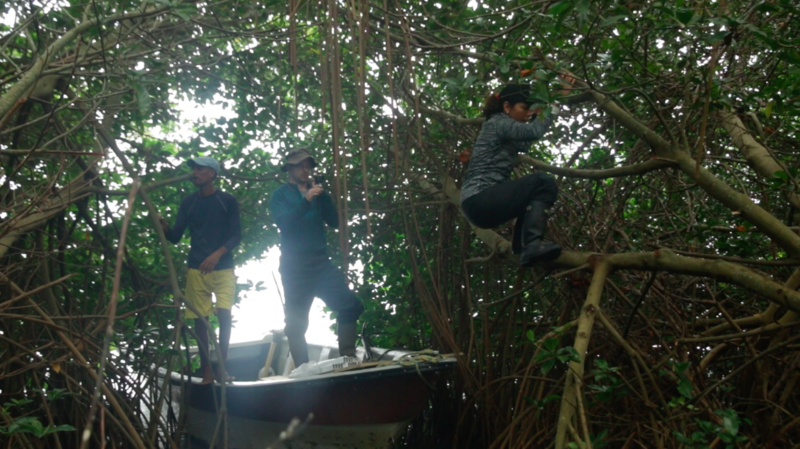 We went to the edge of a well-developed mangrove forest about 25 minutes away from the small village. As people got hungry we decided to have a break. Everyone got their lunch packages out and started sharing right away… offering cookies and chocolate to the rest even before eating themselves. Camilo gave a whole package of Manimoto (sort of Colombian borrelnootjes) to Barend, who didn’t quite know what that meant… or what to do. Barend saved the empty Manimoto package and plans to frame it for his office back in Utrecht. Gabo, a sound engineer, also joined us today. 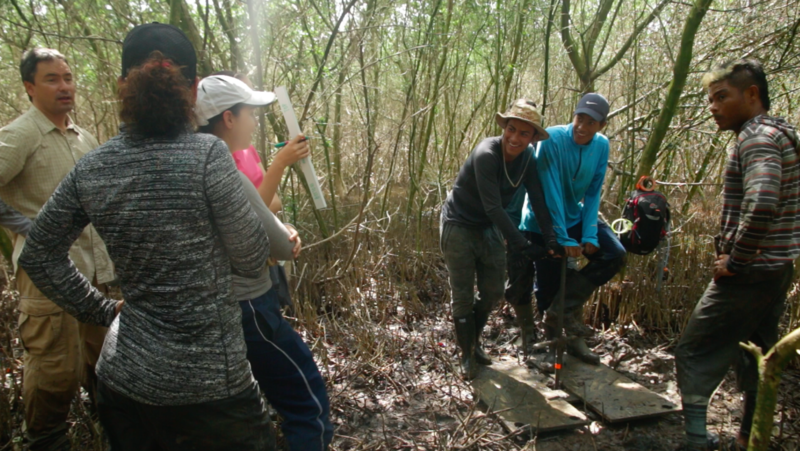 Together with our cameraman Alex, they conducted interviews of students, Mauricio, and us, Barend and Dunia… All of this while the coring action carried on in the background. 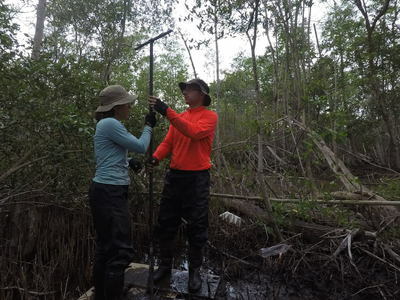 We collected 5.5 meters of mud at this coring spot. Our new team record. 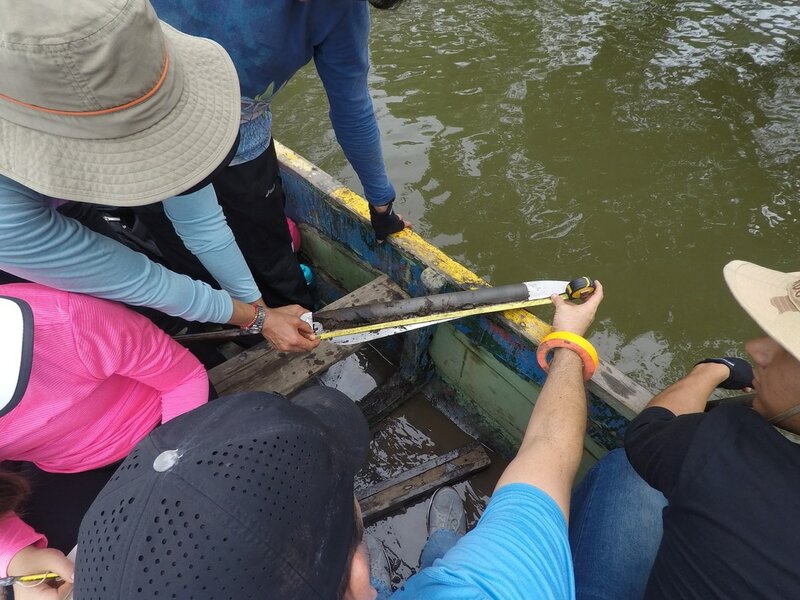 In the picture one can see the length of the coring rig once we got it out, with Chino holding the T-piece at the far end of his boat. It was a great day! From arriving at this beautiful lagoon, through a nice sharing moment at lunch, to the 5.5-m core. Maybe there was only one small glitch: Camila’s wet shoe when getting off the boat, which caused a cheeky laugh in some of the other faces. Today a bright orangy red fruit. A typical one from the Caribbean coast of Colombia. Normally used for fruit juices mixed with milk. A true milk shake delight! 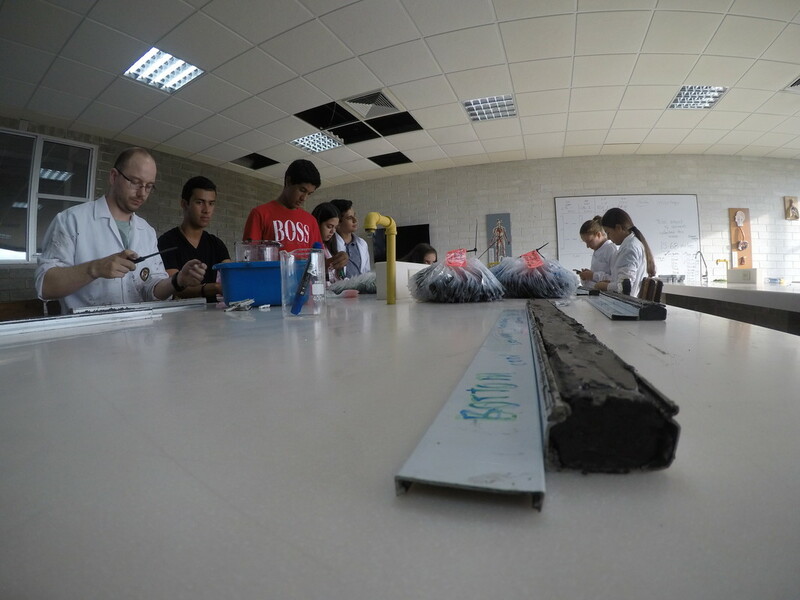 Day 1 – let’s start coring! This morning we met some of the students from the school who will be helping us out during the week. 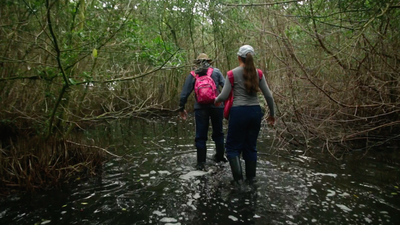 They are a group of kids from 10th grade (one year away from finishing high school) interested in biology and environmental issues, who also enjoy the outdoors. Today we had Camila, Andrea and Javier with us. After meeting and giving a short overview of the project and activities of this week, we headed to Cienaga Mallorquin. 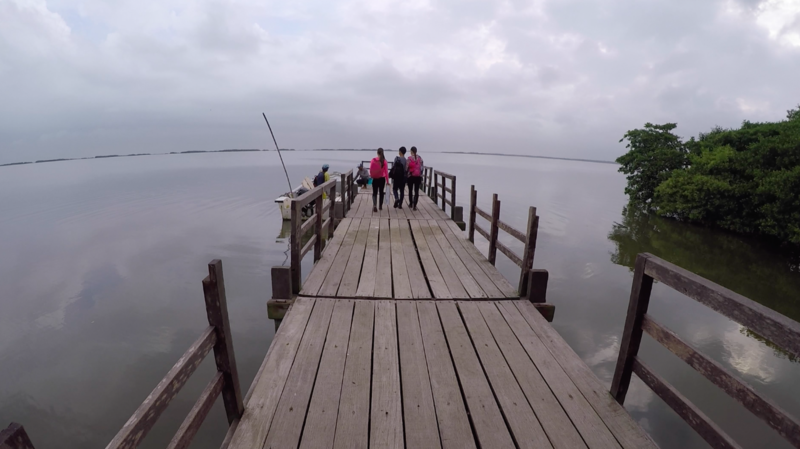 This is a deltaic lagoon located a few kilometres away from Barranquilla and the school. 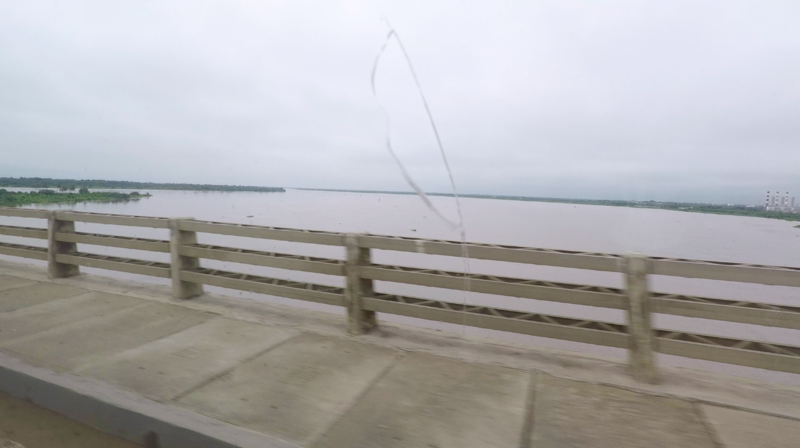 The lagoon has been highly impacted by urbanisation and other human activities in the Delta. 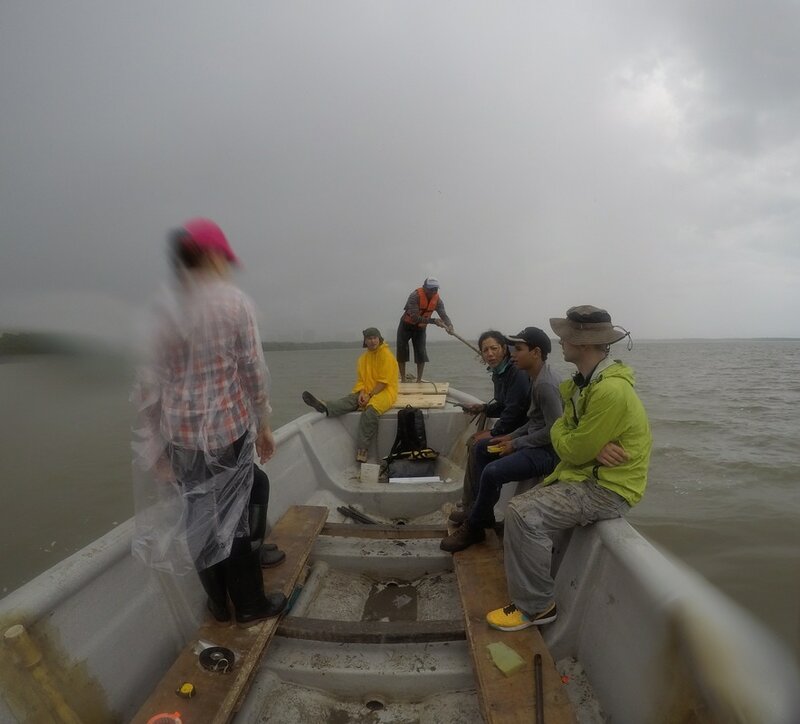 Even though the weather started to look a bit threatening, we managed to core in two spots of the lagoon and the longest core was 2.5 meters. 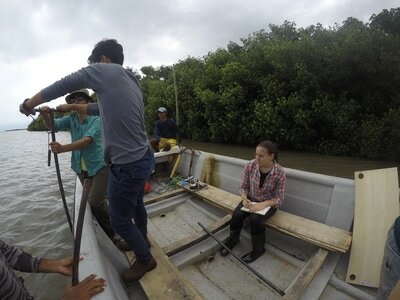 That one was collected a few meters from the mangrove edge. Alex, our cameraman (left picture), captured all of the action. He is the man in charge of recording our work and interaction with the students so we can produce a short science dissemination video once we are back in Europe. 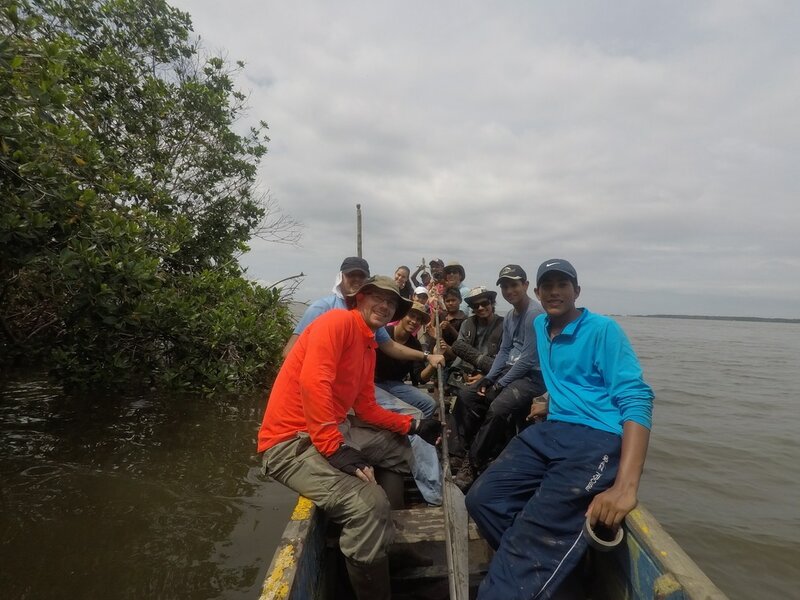 In the picture on the right you can see the contrast between the mangrove forests and the skyline of Barranquilla in the background. We thought it would be cool to have a drone capturing images from above. 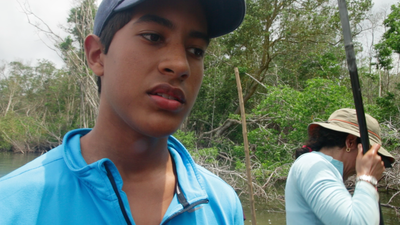 Javier, one of the students, is a skilled drone fanatic. 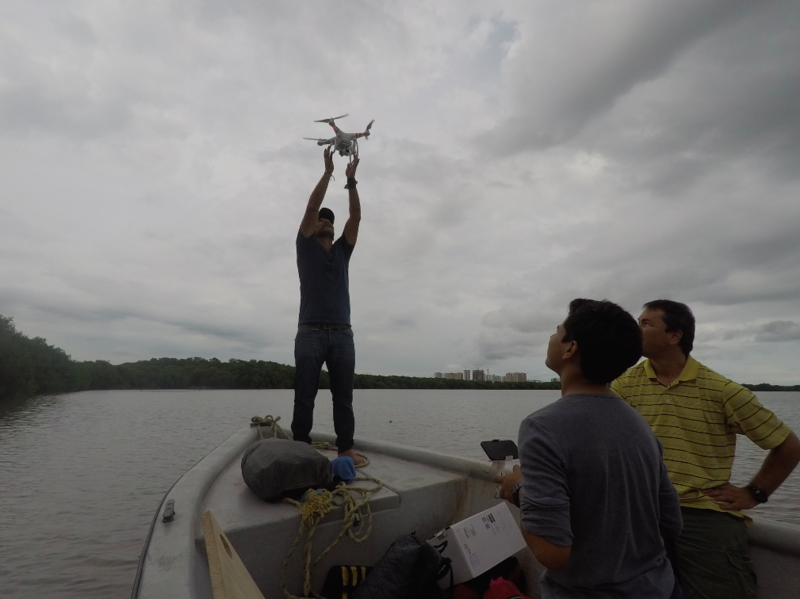 He brought his drone and managed to get some really spectacular footage of the work in the boat and the mangrove forest from above. Around 2 pm our coring rig didn’t want to go any deeper. At the same time the clouds were also suggesting it was time to go home. When it rains in Barranquilla, it really rains! Run off on the streets can be so large that it looks like streets become streams. 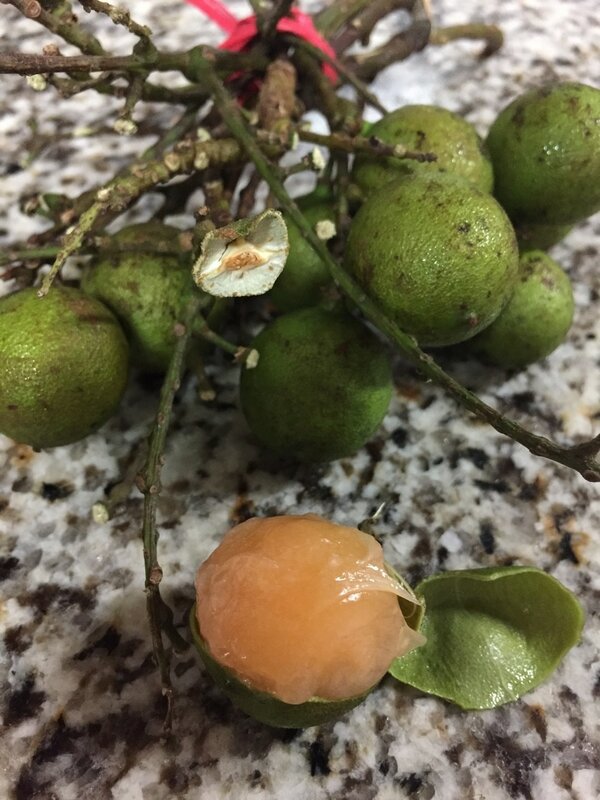 One of the most enjoyable things about visiting Colombia is the food, specially the fruits. Being a tropical country with lots of topography, Colombia has a diversity of climates and a large variety of produce including fruit you may have never seen. Every day we will be trying to taste a different fruit and will be posting a “fruit of the day” picture. Hi everybody, welcome to our blog! 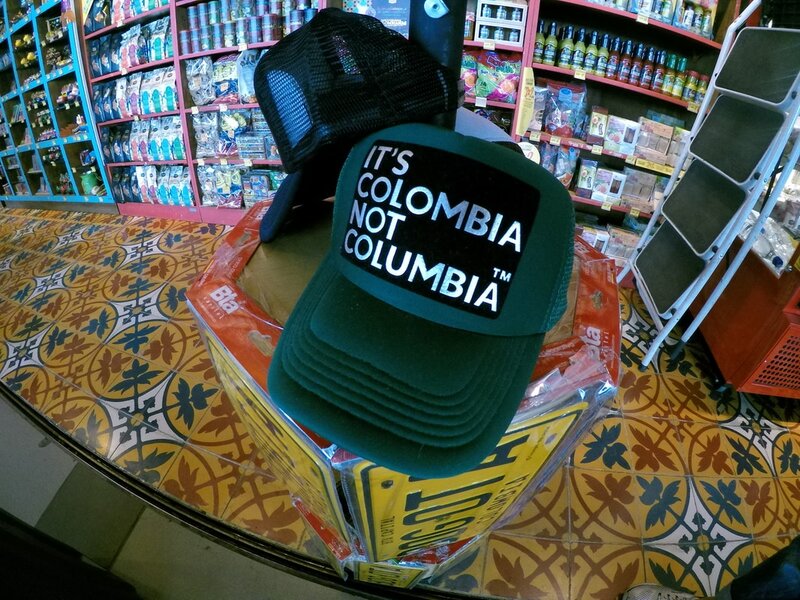 Here we will share adventures of our trip to Colombia. 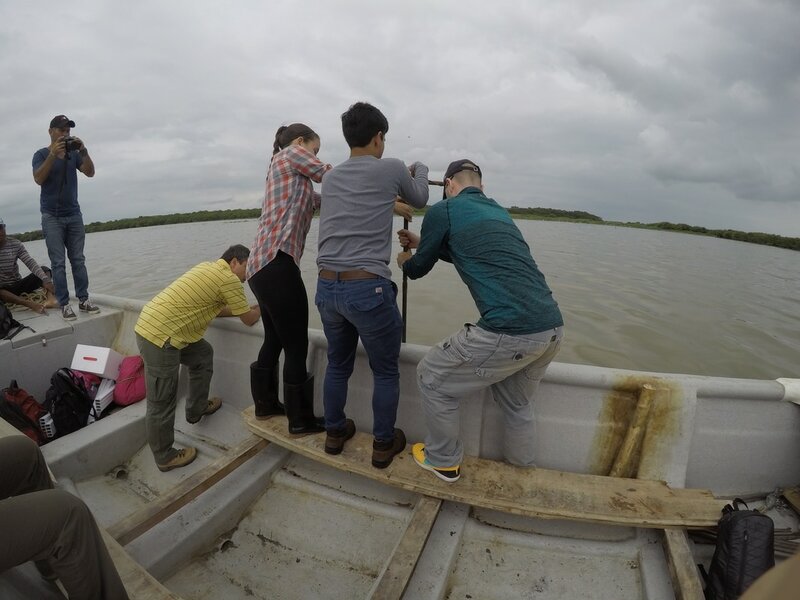 As part of a Future Deltas (https://www.uu.nl/en/futuredeltas) seed money project we will collect pilot data on mangrove dynamics in the Magdalena River delta, which is located on the sunny (and hot!) Caribbean coast. 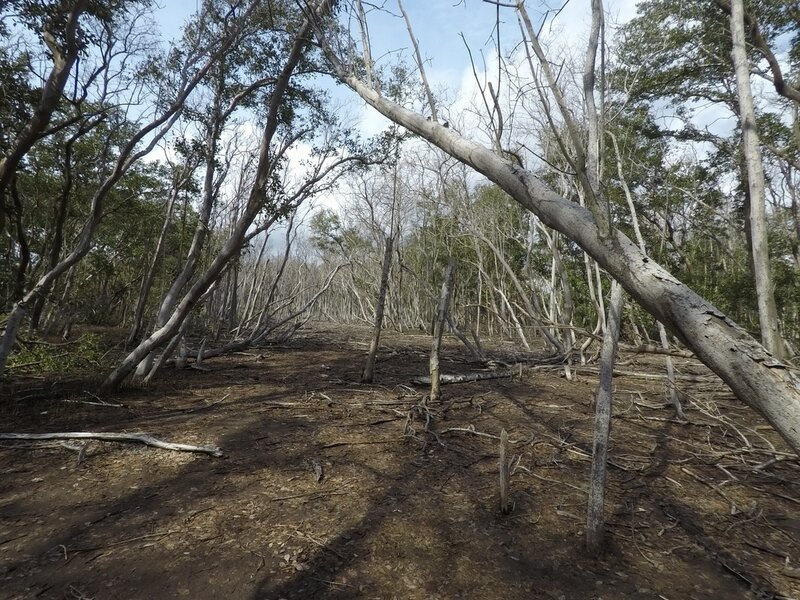 This delta hosts extensive mangrove forests, but over recent decades the mangroves are under increasing pressure resulting in large-scale degradation. We will collect sediment cores from two key locations in the delta so that we can study mangrove ecosystem functioning. 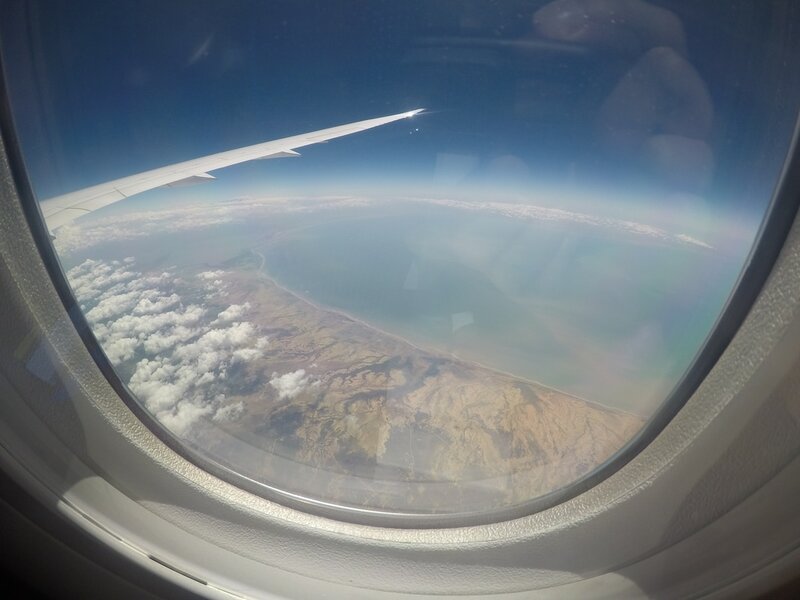 So this weekend we flew to Cartagena and then drove to Barranquilla. Taking all the coring equipment was our biggest worry, but at Schiphol it actually allowed us to skip the queue! 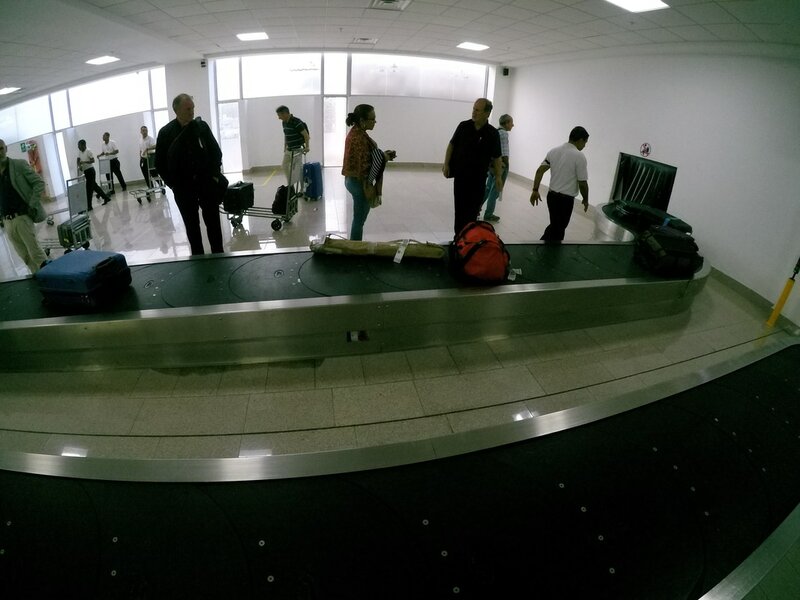 Having odd-sized luggage apparently can be an advantage.. At Cartagena airport we were happy to see all our pieces of luggage again and going through customs also went smoothly. So it all worked out. Tomorrow we will start bright and early! 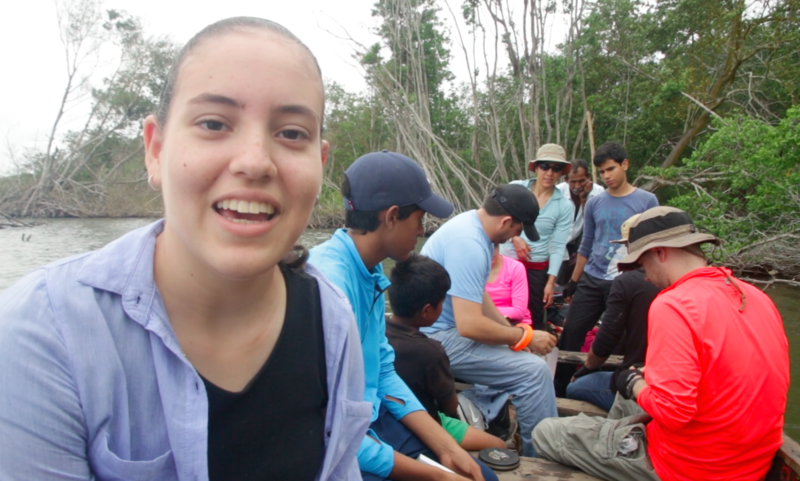 At 6 am we will meet the students and teachers from Colegio San Jose (http://colsanjose.edu.co/), our local partners in crime. 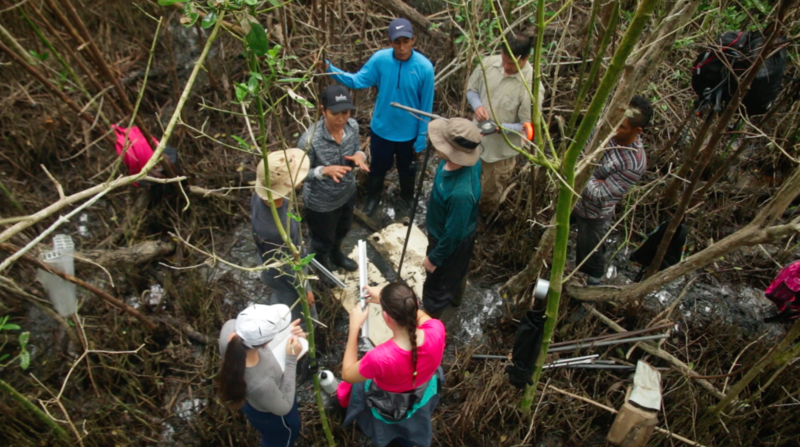 They will be taking part in various aspects of the field and lab work. It is going to be cool to work with 15 and 16 yr old students. Juma, the director of the school, is really interested in getting students involved in scientific research. 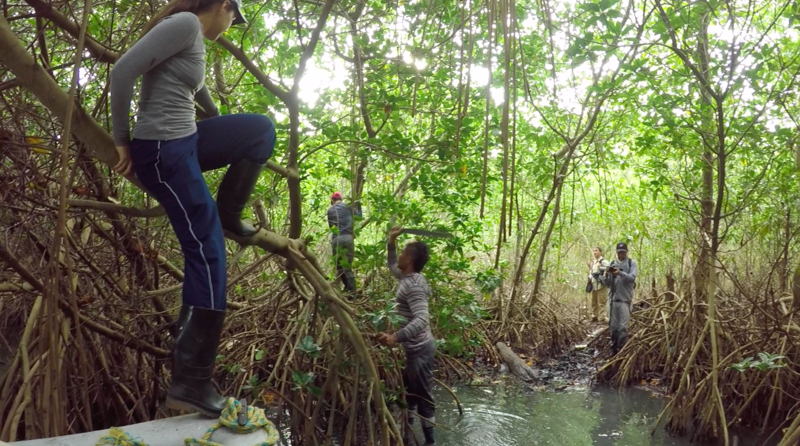 First we will be working in the mangroves of a degraded lagoon in the delta, very close to the school. It will also be the first time we will have a professional cameraman joining us in the field. Let’s hope the mosquitos will keep a low profile, but there are no guarantees.. We will post stories on this tomorrow.